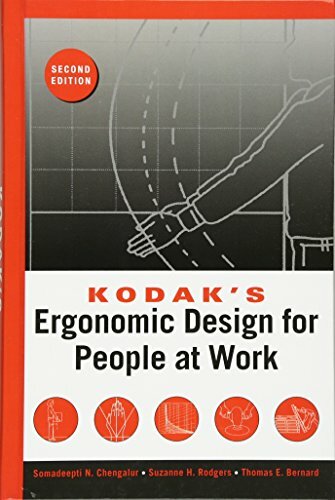 This newly updated, single-volume edition of the most respected and widely used guidelines to ergonomics in the workplace, Kodak's Ergonomic Design for People at Work, offers a concise and straightforward presentation of information, data, and how-to guidelines for implementing solutions to human factors and ergonomics problems in industries worldwide. Written for those who are on the job but not necessarily professionally trained ergonomists, the principles and approaches detailed here have all been implemented in real-world workplace environments and proven successful in reducing the potential for occupational injury, increasing the number of people who can perform a job, and improving employee performance on the job. Complete with numerous case studies illustrating applied ergonomics, Kodak's Ergonomic Design for People at Work, Second Edition is an essential guide for human factors and ergonomics specialists, engineers, and occupational health specialists.